Roasted butternut squash risotto with shaved Parmesan cheese and fried sage is my new go to comfort dish! I swerved this with a pecan crusted chicken breast and a light salad with goat cheese and walnuts. Such a good dinner! When I roast butternut squash I always add a few more than needed into the oven and keep them in the fridge for later. You can add them onto pizza, pasta, salads or in this case a delicious risotto! When you cook the rice it’s best to add the chicken stock in batched so you can better monitor the absorption of liquid. 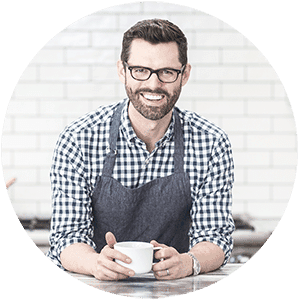 If you want to add some texture to the dish, especially if you’re serving it as a stand alone course, then I might add some toasted walnuts for a bit of texture and crunch. If you’ve tried this risotto then don’t forget to rate the recipe and let me know how you got on in the comments below, I love hearing from you! 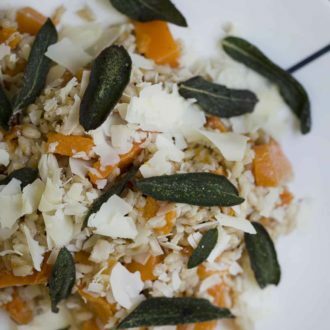 Buttery risotto with butternut squash, parmesan and fried sage. Prep butternut squash. Cut into cubes. Drizzle with olive oil and toss with salt and pepper. Place prepped squash on a baking sheet. In a saucepan, heat chicken stock on low. In a medium sized pot, melt butter and saute minced shallots. Add rice. Coat with the butter mixture. Add in the white wine. Cook for about 2 minutes. Cook until the chicken stock has been absorbed and seems a bit dry. Keep adding the stock and stirring with each addition. 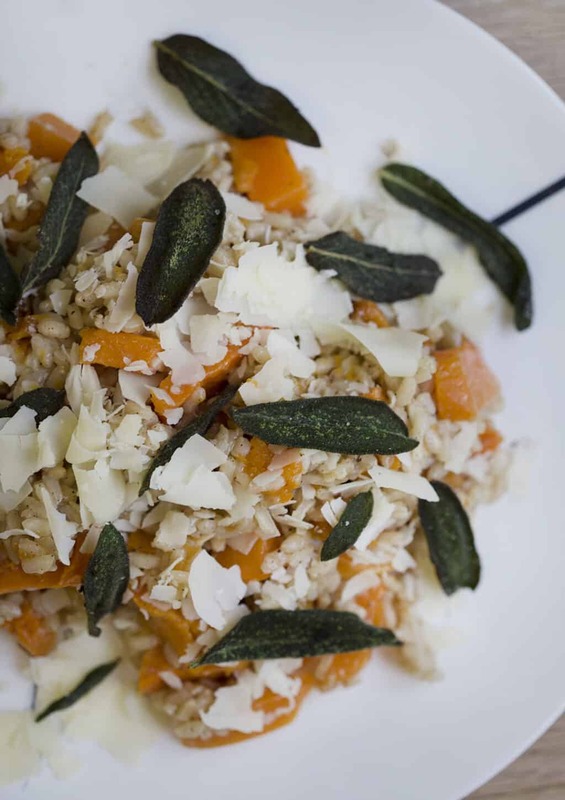 Mix in butternut squash, fried sage and parmesan.